Now that Autumn is finally approaching, it’s the perfect time to get out and experience the beautiful colours of the changing leaves. 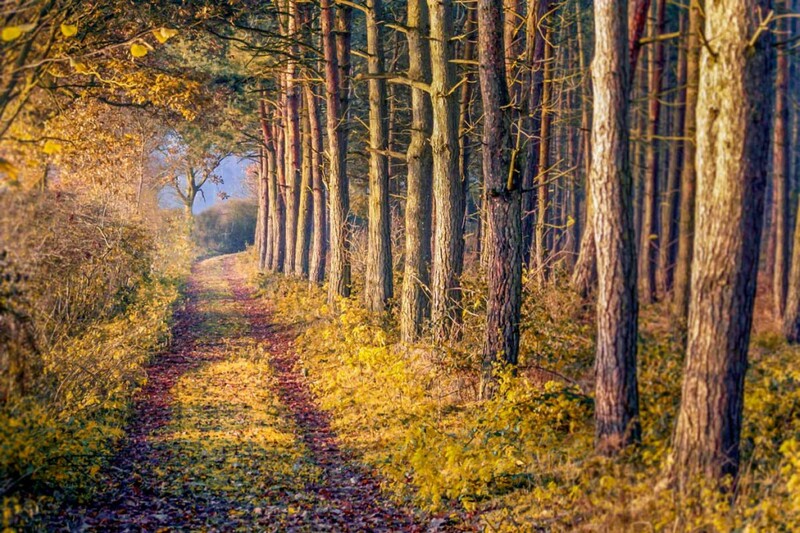 We’ve put together 10 Autumn Scenic Routes for you to take in your hire car. Home to the biggest man-made lake in Northern Europe and at over 250 square miles, Kielder Water & Forest Park brings you closer to nature on a huge scale. 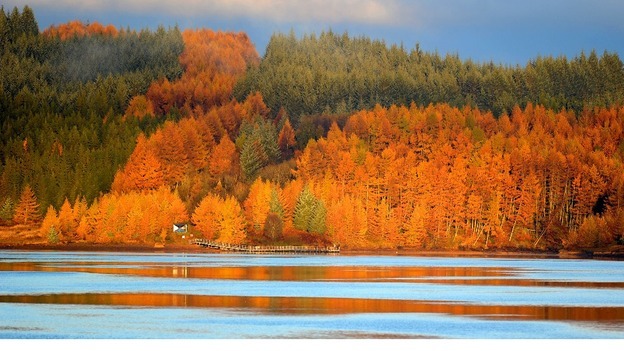 The scenic 12-mile Forest Drive costs just £3 at the Kielder Castle end and is open from Easter to Christmas. The Forest Drive is one of England’s highest roads, cresting over 1500 feet (450 metres) at Blakehope Nick. Here the ‘big sky’ views over Northumberland are simply breathtaking. 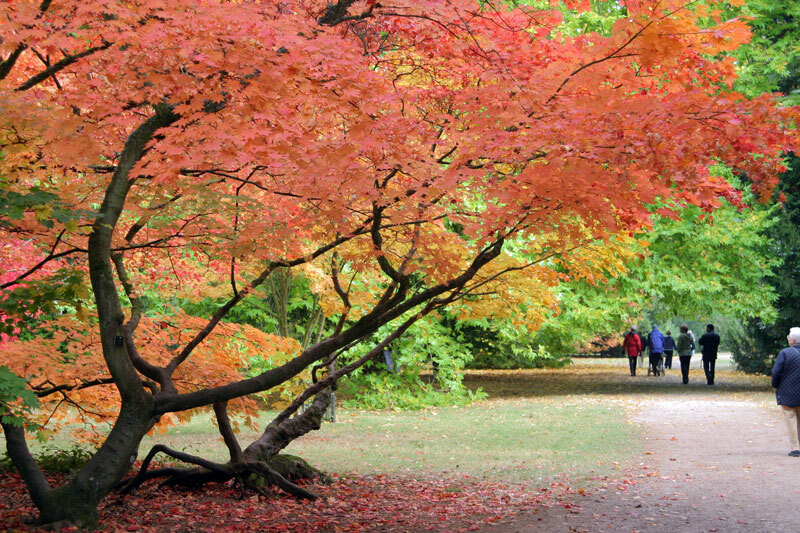 An arboretum is a huge collection of trees and Westonbirt has over 15,000 plus a succession of plants from different areas of the temperate globe that burst into bright, golden and burnished tones starting from September to November. As long as you’re happy to park up and take in the forest by foot, you can view their famous Japanese maples in the 600-acre site . The seven-mile scenic route takes you through the rolling hills and beautiful forestry of one the country’s largest urban forests. The peaceful wooded area was a coal mine in a former life with hardly a tree in sight. 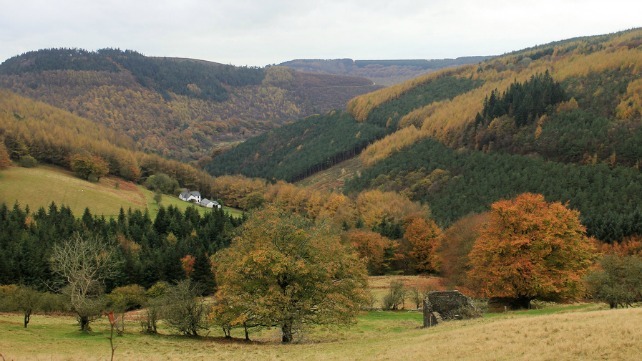 As well as taking in the enchanting Welsh forestry, you can follow a trail of woodcarvings or pack a picnic; Cwmcarn has plenty of picnic and BBQ spots. And you don’t have to stay behind the wheel; there are seven car parks where you can stop off to take in the breathtaking views or you can take a bike or do it on foot. Enjoy driving through diverse landscapes on Sherwood Forest Drive. This scenic trail offers picturesque places to picnic, lookouts and spectacular views along the way. This driving route takes you from subtropical rainforest, through old-growth forest ecosystems and over the elevated sandstone plateau. Various spots such as Waihou lookout provide great views over Orara Valley, with sandstone cliffs providing a stunning backdrop. Keep your eyes out for local wildlife along the way. Old-growth forests provide refuge for species such as microbats, owls, possums and gliders. And, while admiring the views from the sandstone escarpment, you might spot brush-tailed rock wallabies or one of the many native reptiles basking in the sun. 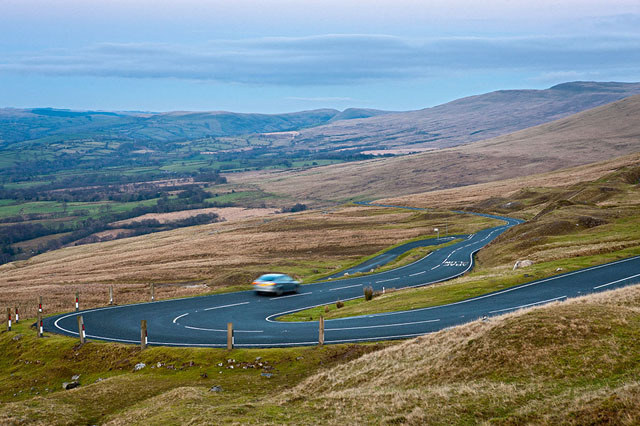 Not for the faint hearted, this 23-mile A-road in Wales made famous by Top Gear’s Jeremy Clarkson can be enjoyed at speed during the Autumn months. The route crosses over the Black Mountain range of the Brecon Beacons and emerges near Felindre near Llangadog and reaches a height of 493 m (1,617 ft) above sea level. 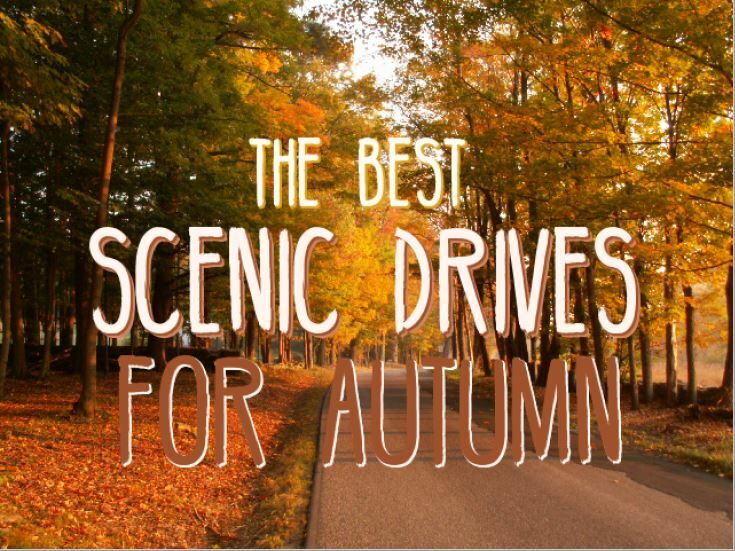 This drive features stunning views from the top of the mountains with the wooded areas changing colour below. Just watch out for stray sheep and sudden hairpins.